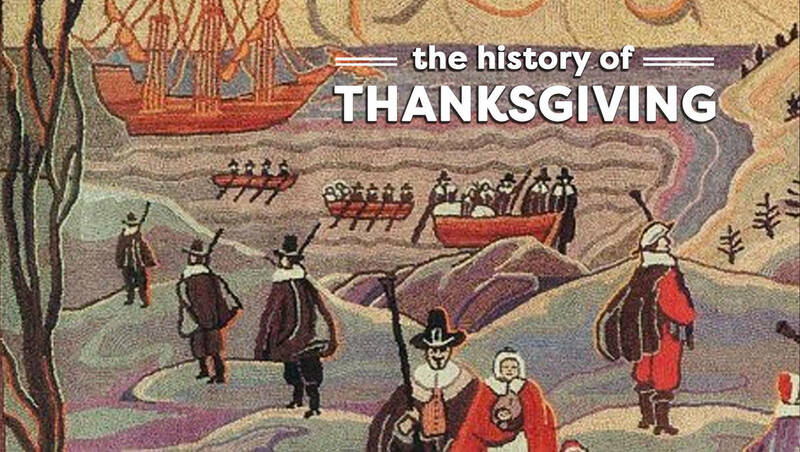 Students will learn about the first Thanksgiving in Plymouth, Massachusetts. It's beneficial for students to understand the context of the holiday when they're celebrating and learning about the history of Thanksgiving. 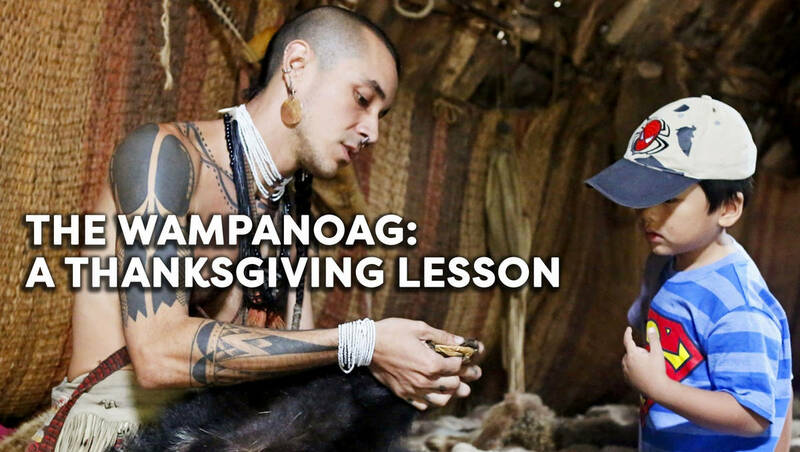 Students will be able to explain the origins of Thanksgiving. Write the word "Thanksgiving" on the board. Divide the students into cooperative groups. Ask the students to list on a piece of paper all the meanings, stories, and images that come into their minds when they hear the word "Thanksgiving." After a sufficient amount of time has passed, ask the students to come back together as a large group and generate one list of the meanings, images and stories they came up with. Tell them they will be reading and researching the truth about Thanksgiving. They will read pages 17-24 in Three Young Pilgrims and the Pilgrim Fact Card 8 with a partner. Then they will create 4 quilt pieces between the two students (use the white paper squares) that illustrate and explain the first Thanksgiving. Suggest that they can draw pictures of food or the activities that occurred at the original celebration or creatively write the names of the key participants (Massasoit, Bradford, or the like). On the back of each square have the students write a brief explanation. Assemble the squares on a bulletin board and allow the students to explain their contributions. Update the Class Chart (begun in Lesson 1). Students will define and illustrate the vocabulary from the lesson (optional). Create a game, which highlights the Facts and Fiction about Thanksgiving. Students may want to make a board game or a game like Jeopardy. Read a picture book on Thanksgiving to a younger class or student. Create a Venn diagram comparing the first Thanksgiving with present day customs.